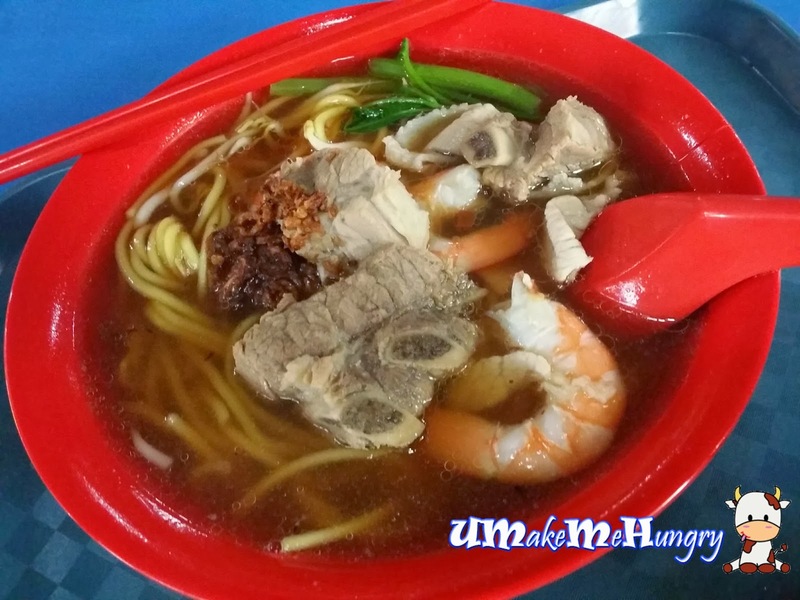 New stall spotted at Boon Lay Market and village selling Prawn mee as the main dish. 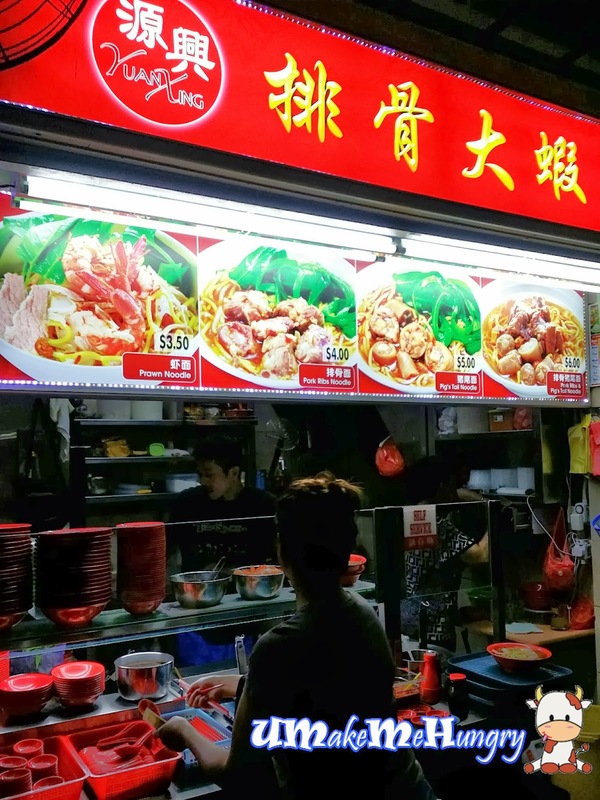 Yuan Ling Pai Gu Da Xia Mian Stall. 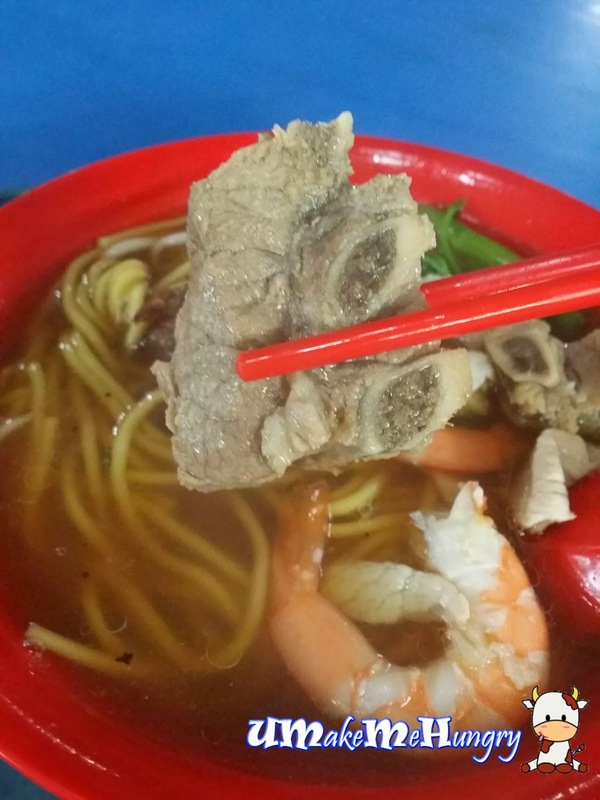 Though the combination of pork ribs together with prawns noodle was not listed on the menu. We managed to order it. The prawn stock was sweet and tasty but somehow I find them quite oily perhaps due to the additional fried onions placed in. Kang gong and beansprouts were also included to the bowl of noodle soup. Ribs given were a handful but not that meaty as I thought. However the prawns were quite fat and juicy. Here's another piece of the given pork ribs. 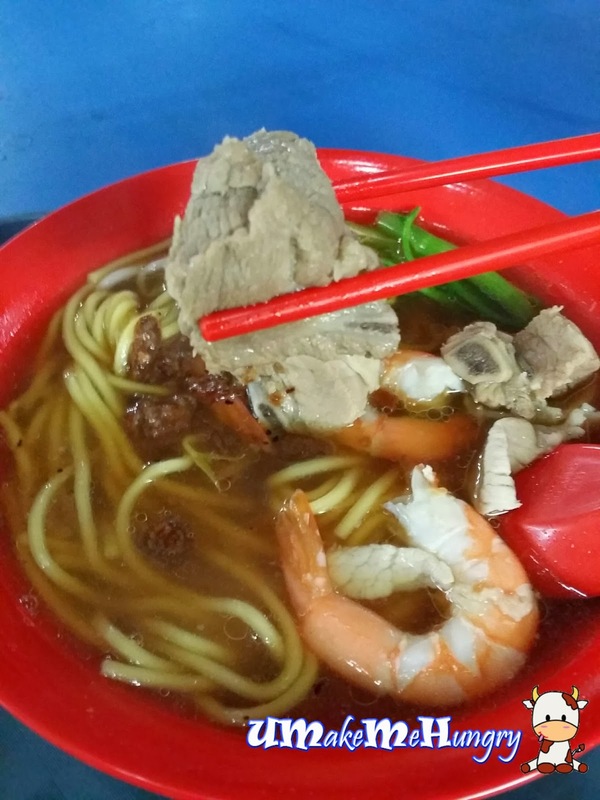 Overall, i think their prawn mee tastes of the average and does not have the WoW factor upon eating.